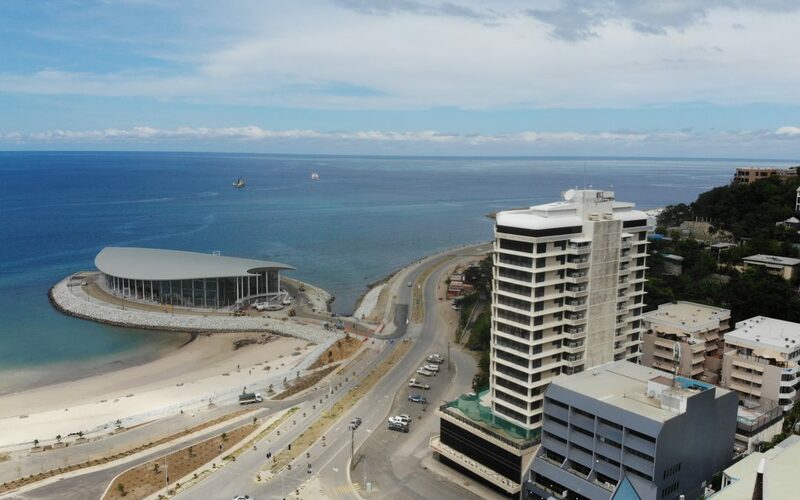 AID/WATCH, an independent watchdog on aid and trade, has today written to Foreign Minister Julie Bishop calling for transparency over the level of funding being provided to the 2018 Asia-Pacific Economic Cooperation Forum to be held in Port Moresby, Papua New Guinea, and specifically whether any funds have been used to support the controversial Paga Hill Estate Project, which is expected to host the luxury meeting. There are ongoing concerns about human rights abuses that have occurred in the eviction of around 3,000 people from settlement and National Housing Corporation communities in the area that are decades old. “AID/WATCH is deeply concerned that Australian aid funding is going towards hosting a luxury love in for world leaders. I think most people want our aid dollars to go towards the poorest and most vulnerable, not towards six star hotels and luxury developments. “We know that the Australian Government is putting at least one hundred million dollars towards this summit alone but there has been a complete lack of transparency about where the money is coming from and who it is going to. “The Paga Hill Estate development is controversial and there are ongoing concerns that human rights abuses have occurred in the eviction of several thousand people from communities on that site. We want to know if any Australian taxpayer’s money has gone towards this and what the justification is. “APEC meetings are talkfests that result in no outcome for poor communities. They are for the benefit of the global elite and multinational corporations at the expense of Southern country economies and the environment. 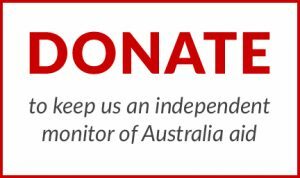 “There has been a consistent eroding of public information under the Australian aid program under Minister Bishop’s reign, with detailed information being replaced with glossy brochures and snap shots. We hope that the Australian Government commits to putting such as this in the public sphere. AID/WATCH is an independent membership-based watchdog on aid, trade and debt, working with communities in the Global South. 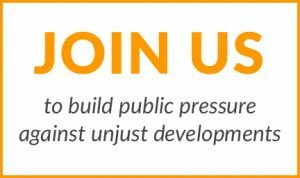 AID/WATCH challenge practices which undermine the ability of communities to determine their own futures, and promotes development alternatives based on social and environmental justice.